My Thoughts ~ We eat a great deal of Tortillas in our house. We always have them on hand so when I was given this opportunity to review a cookbook about Tortillas I jumped at the chance. The first thing we went to try is the sweet Tortillas because normally we stick to tortillas as a main dish so I was excited to try to Apple-Cinnamon Tortilla Pockets. I love apples and so does my family so this was sort of a no brainer for us. To say the tortillas pockets were awesome is an under statement. We loved them and they didn't last long at all in our house. A few days later I grabbed the cookbook to try something different for breakfast and we tried the Bacon, Egg, and Cheese Roll. The only substitution we made was corn tortillas instead of wheat tortillas. They were good also and something I will definitely make for breakfast again. 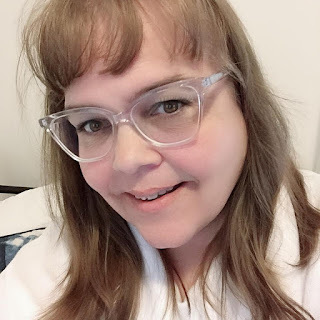 As I cruised the pages of the cookbook my list of things to try has grown longer and longer next up on my list later this week is Philly Cheese Steak Tacos. Just the sound of them sounds wonderful. About the Book ~ This is a book where every recipe uses a tortilla; each one delicious, filling and remarkably creative. It features over 100 easy, cheap, and tasty recipes for every meal, including tortilla breakfast scrambles, veggie wraps and cinnamon tortilla crisps. It offers healthy and delicious recipes that take the simple tortilla and build gourmet dishes that are quick, cheap, and easy to make. What can't the tortilla do? "Tortillas to the Rescue Cookbook" shows the millions of tortilla lovers how amazingly versatile the tortilla can be - with dynamic dishes that go way beyond the Mexican classics everyone knows. The book includes a wide array of creative, mouth-watering treats including Pulled Pork Wraps, Hearty Chicken Tortilla Soup, and Spicy Stir-fry Veggie Enchiladas as well as exotic dessert options like sugar-and-cinnamon baked tortilla chips atop fruit salad and pepper-infused tortilla-chocolate bark. Second only to bread as America's most popular packaged food, tortillas are consumed by the billions from coast to coast. It is no wonder since tortilla-based meals like huevos rancheros, migas and cheesy quesadillas are so tasty and incredibly easy to make - perfect for kids and teens to rustle up on their own when Mom and Dad need an extra hand. 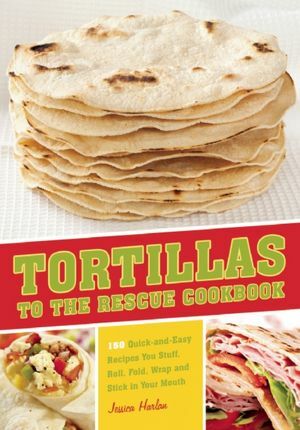 Packed with step-by-step instructions, time-saving tips, and fun illustrations, "Tortillas to the Rescue Cookbook" demonstrates a beguiling number of ways transform a simple tortilla into a restaurant-worthy meal. Disclosure of Material Connection: I received this book free. I was not required to write a positive review. The opinions I have expressed are 100% my own.